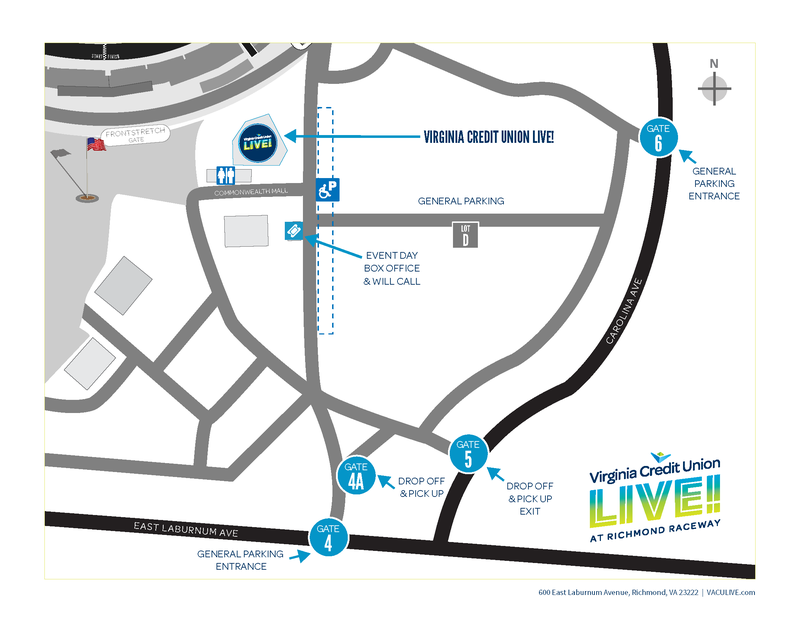 Directions | Virginia Credit Union LIVE! Parking is located on-site in Lot D, which is the corner of Laburnum Avenue and Carolina Avenue. Concert-goers will be asked to enter through Gate 4. Parking is $10 and cash only. Virginia Credit Union members show your Debit or Credit card, and you will receive FREE parking.